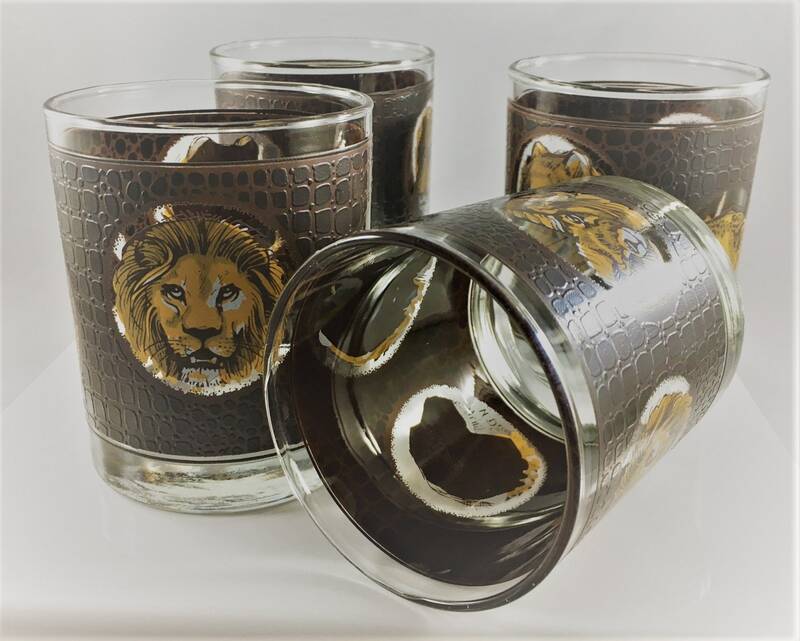 Featured is a cool set of four vintage lo ball or rocks glasses from Libbey. 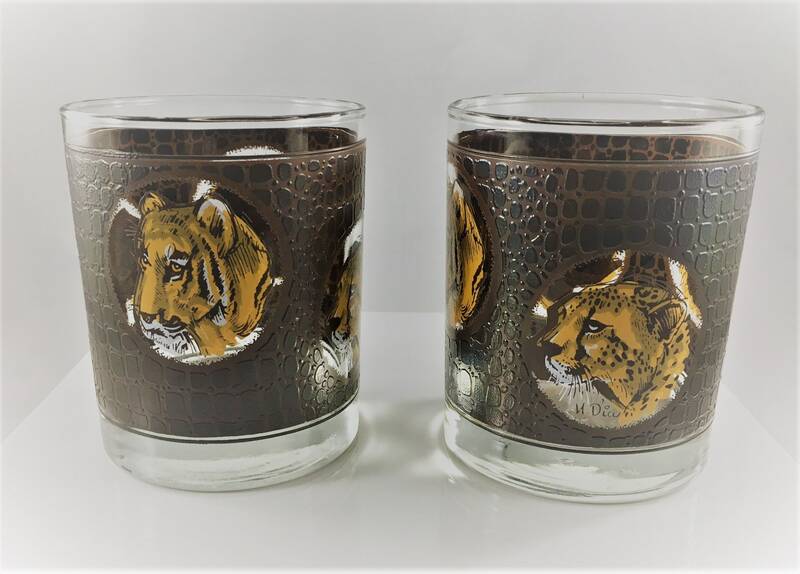 The pieces are in their African Safari Animal pattern (1977) which depicts four animals on each glass. 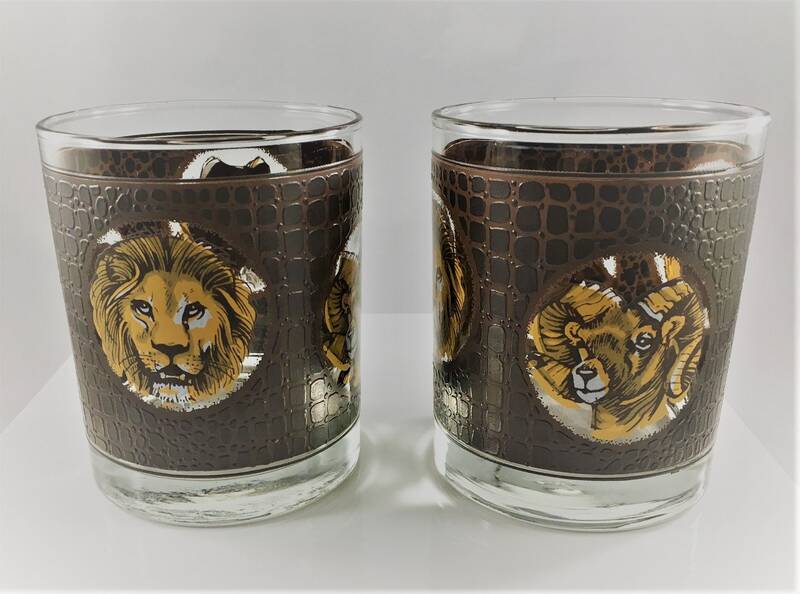 The animals include male and female lion, a ram, and a leopard. 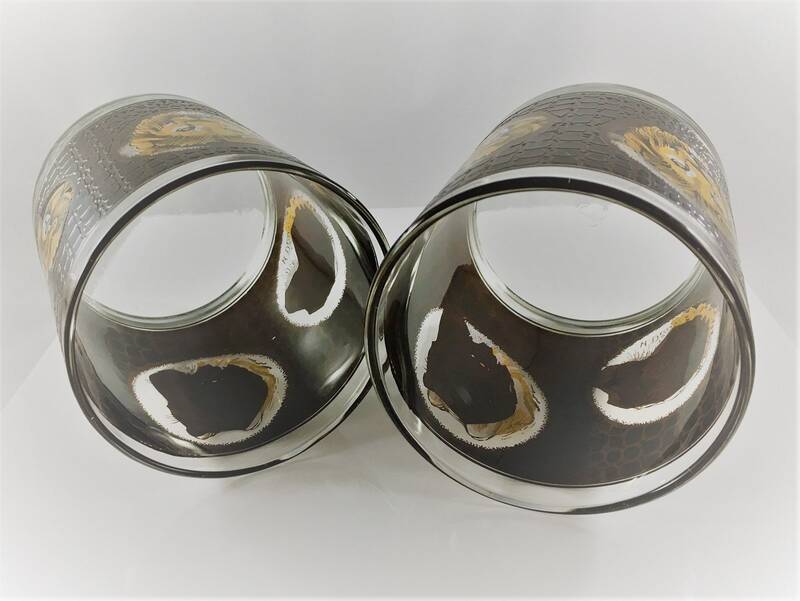 The finish of the glass exterior is textured to feel like leather or animal skill. Awesome. 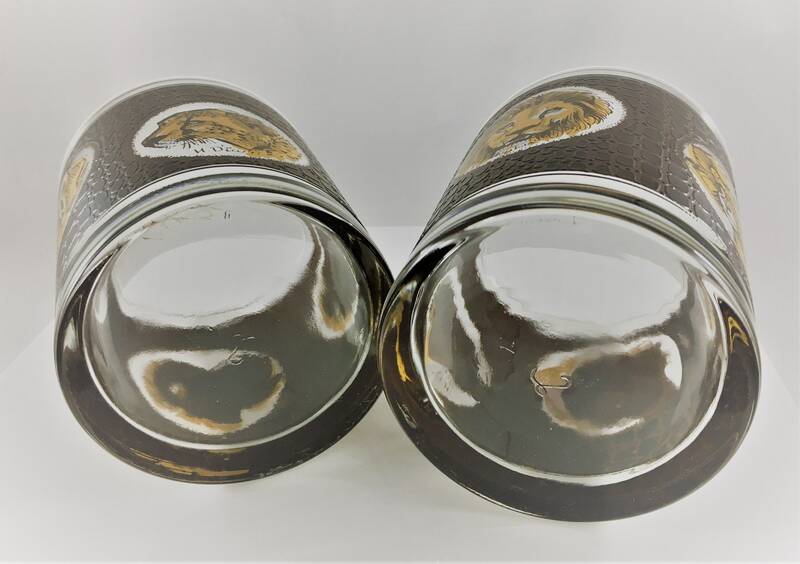 The glass hold 12 ounces and are 4 inches high and 3 1/4 inches in diameter. All four are in excellent condition, free from any chips or cracks. 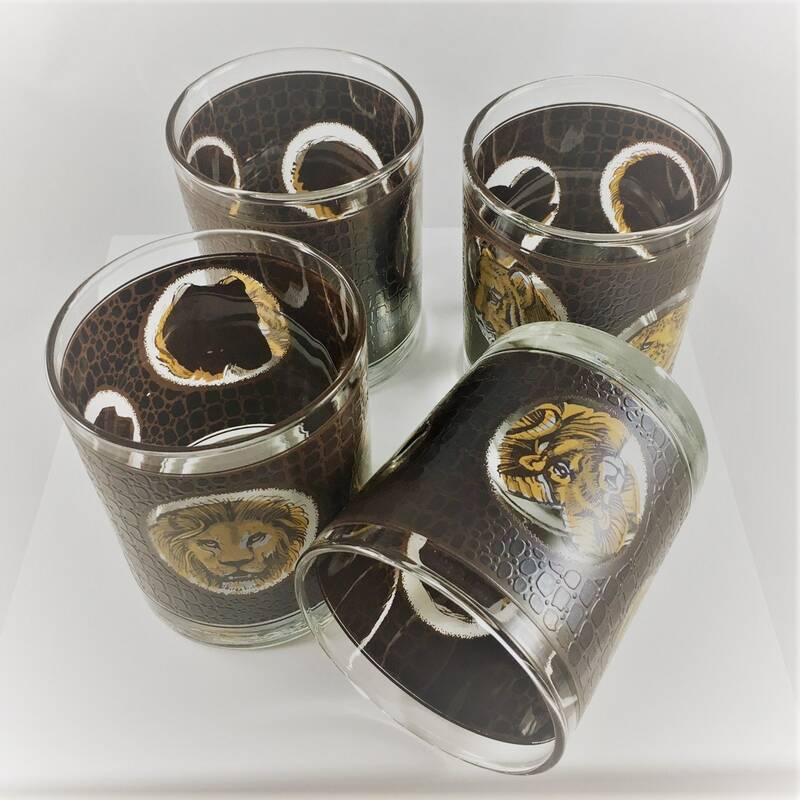 All four glasses for one low price.